An unusual one this. A shot of my MGF parked outside my flat in Islington, where I lived for 8 years as a bachelor. 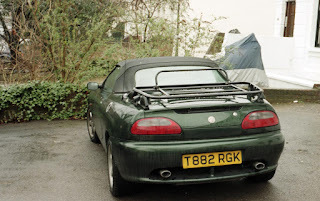 My MGF was my pride and joy but one day I received a speeding ticket taken at 2.30am on the M20 in Essex. The only trouble was I hadn't been anywhere near Essex for a considerable length of time. 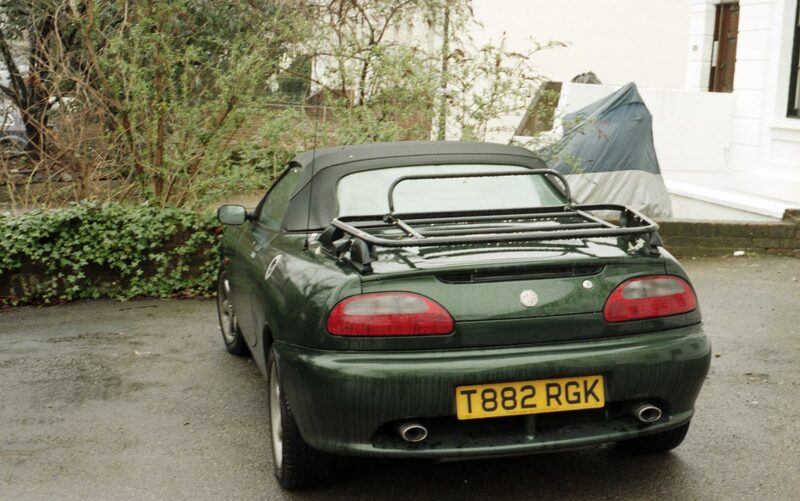 Some little scallywag had cloned my license plate and stuck it on an almost identical MGF (but without the luggage rack). Luckily Essex policy believed my pleas of innocence (I wasn't the only 'victim' of this scam) but for the next 6 months I received more speeding fines and parking tickets on a regular basis. I am pleased to say I was let off all of them.